Accessible bathrooms don’t have to compromise on style. A barrier-free home remodel can be beautiful when using the principles of universal design. Universal design accommodates as many people as possible. Use the principles of this design philosophy to remodel a home for comfort and safety. Don’t think of universal design as special accommodations for the elderly or disabled. An easy to use bathroom is a boon for everyone. Accessible bathroom remodel require small but thoughtful modifications to standard designs. If you’re planning a bathroom remodel, consider incorporating features of universal design. An accessible bathroom will be good for you and your family. It will also add resale value to your home. Handles and faucets: Handles and faucets should be easy to use. Operating a lever-style handle requires less dexterity and strength. It can be opened with one hand and is easy for children or those with limited mobility. Levers come in a wide range of styles and prices. Door width: Wider doors are easier to get through. Thirty-inch doors are standard. Accessible design calls for a width of at least 36 inches. Some ensuite bathrooms forego doors. Leaving off a door adds a few more inches of clearance to the entrance. Free space: Wheelchairs and walkers require more than the standard clearance. To allow a wheelchair to turn around, a bathroom should have a minimum of 60 inches of open space. Curbless shower: A curbless shower allows the user the step or roll unencumbered into the stall. The shower can have a door, curtain, partial wall or remain open. Grab bars: Grab bars require reinforced walls. Add them near the toilet and in the shower. If you don’t need grab bars now, ask your contractor to construct walls strong enough to accommodate their later addition. Wall-mounted sinks: Wheelchairs can roll up to a sink that’s mounted on a wall. This type of sink doesn’t have a vanity. Toilets: Taller toilets are more accessible for those in wheelchairs. Choose a model that has a soft-close lid that won’t pinch fingers by slamming down. Wet rooms: You can make even a small bathroom accessible when you convert it to a wet room. A wet room is a trendy, accessible and space-saving design. Wet rooms are open. They may contain only a shower, but some wet rooms also house a toilet and sink. A curtain to contain spray is optional. You’ll need a waterproof, nonskid floor and a central drain. Simpson Plumbing does more than install the plumbing for a bathroom redo. We can head up your entire project. 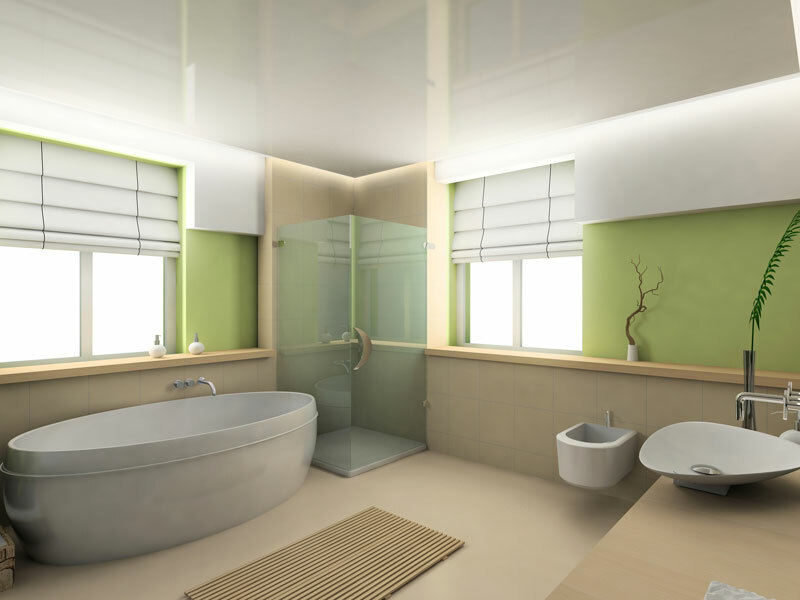 Contact us to learn more about our bathroom remodeling services.